I love my coaching calls with divers groups of (starting) coaches. They are so involved and ask such good questions. In this case someone asked: How do I choose a business name? What is a great questions. we can get lost in. Are you spinning the wheels in your head about what to call your business? 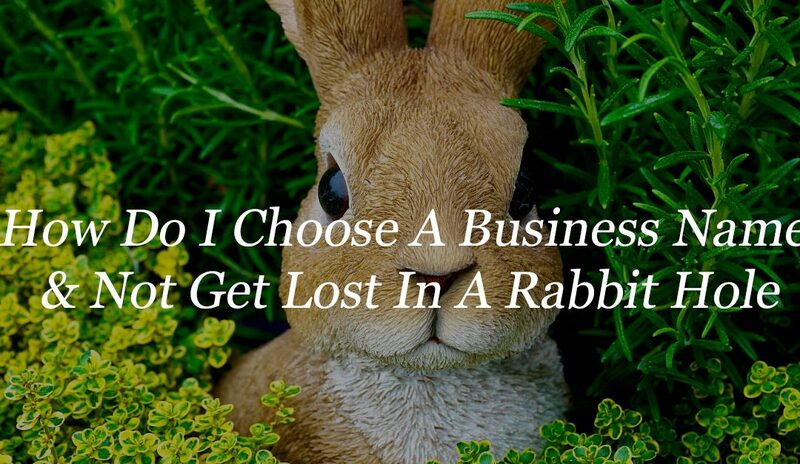 Here’s how to pick a name (or tagline) for your business and not get lost in the rabbit hole? Step 3. Pick the one you like & go with it. Watch this video for inspiration to handle this once and for all. I hope this question and the answer were helpful to you and your business. Leave a comment I would love to hear your insights. ps. check out an awesome workshop “How To Get Clients And Grow Your Coaching Business in 2019” get instant access by clicking here. How do I choose a business name or tagline is crucial to your business, but I don’t want you to get lost in it. As an entrepreneur there’s so much other stuff to do.